April 23, 2015 - Since it was first published in 2012, the World Happiness Report demonstrated that well-being and happiness are critical indicators of a nation's economic and social development, and should be a key aim of policy. This year's report looks at the changes in happiness levels in 158 countries, and examines the reasons behind the statistics. The World Happiness Report 2015 also comes in advance of three high-level negotiations that will give world leaders the opportunity to reshape the global agenda and move the world towards a sustainable development agenda that includes well-being as an essential element. "The aspiration of society is the flourishing of its members," said Jeffrey Sachs, Director of the Earth Institute, Columbia University. "This report gives evidence on how to achieve societal well-being. It's not by money alone, but also by fairness, honesty, trust, and good health. The evidence here will be useful to all countries as they pursue the new Sustainable Development Goals." The report, produced by the Sustainable Development Solutions Network (SDSN), contains analysis from leading experts in the fields of economics, neuroscience, national statistics, and describes how measurements of subjective well-being can be used effectively to assess national progress. The report is edited by Professor John F. Helliwell, of the University of British Columbia and the Canadian Institute for Advanced Research; Professor Richard Layard, Director of the Well-Being Programme at LSE's Centre for Economic Performance; and Professor Sachs, Director of the Earth Institute and SDSN. "As the science of happiness advances, we are getting to the heart of what factors define quality of life for citizens," said Helliwell. "We are encouraged that more and more governments around the world are listening and responding with policies that put well-being first. Countries with strong social and institutional capital not only support greater well-being, but are more resilient to social and economic crises." "A positive outlook during the early stages of life is inherently desirable, but it also lays the foundation for greater happiness during adulthood," said Layard. "As we consider the value of happiness in today's report, we must invest early on in the lives of our children so that they grow to become independent, productive and happy adults, contributing both socially and economically." After carefully considering advice from the independent Threatened Species Scientific Committee and submissions from experts, interested organisations and the wider community, I have decided to list the Leadbeater's possum as a 'critically endangered' species. The Threatened Species Scientific Committee's recommendation was clear and unequivocal regarding the need to transfer the species from endangered to critically endangered. This means Victoria's faunal emblem will now receive the highest level of protection under national environment law. Leadbeater's possums have very specific habitat requirements in order for them to survive and flourish. Sadly, almost half of the possum's ideal habitat – the old-growth mountain ash forest in the Central Highlands of Victoria – was burnt in the 2009 bushfires. The challenges facing this iconic species are significant. It has undergone very severe population declines in recent decades with numbers having decreased by more than 80 per cent since the mid 1980s. That is why we will be working closely with the Victorian Government to find a solution which will help save the possum for future generations. First and foremost, I have already asked my Department to work with Victorian Government officials and commence a review and update of the Leadbeater's possum draft Recovery Plan. This Plan must be finalised and acted upon. The Australian Government is already taking significant action to protect threatened species. In 2014, we initiated a new national approach to saving our threatened species with the appointment of Australia's first Threatened Species Commissioner. Since then, we have invested more than $76 million for practical science-based actions, to turn around species declines. As an example, the Australian Government is supporting Zoos Victoria to grow habitat for lowland Leadbeater's possum and helmeted honeyeater populations. Through funding under the 20 Million Tree Programme, the Government will help Zoos Victoria to plant 112,000 trees at Coranderrk Bushland Reserve which will provide breeding populations of these species with suitable habitat to help their recovery. In addition, the Australian Government's National Environment Science Programme Threatened Species Recovery Hub will be investing $30 million over the next six years in practical science and field work to test and explore options to tackle the threats to our native animals and plants. A presentation video celebrating the rediscovery of the leadbeater's possum. Medialight Studios edited and created graphics for this video. The Australian Government is delivering on its commitment to host a landmark national summit on threatened species and launch its own strategy for our rare and endangered animals and plants. The Threatened Species Summit will be held at Melbourne Zoo on 16 July 2015. There are more than 1750 mammal, bird, reptile, fish, frog, insect and plant species now at risk and we can't afford for declines in their populations to continue. Each of these species has its own intrinsic value, and collectively they enrich our lives and our country. The plight of our wildlife affects not only those who rely on the health of the land for a living, but anyone who's ever taken their kids for a bushwalk or enjoyed their backyard birdlife. For the first time, we will bring together a cross-section of society with a common concern for Australia's animals and plants to explore solutions and promote practical and effective ways of tackling threats to their survival. This includes state and territory ministers, business leaders, scientific and conservation management experts, non-government organisations and others active in threatened species conservation. The Threatened Species Commissioner, Gregory Andrews, will chair the event. Hosting the Threatened Species Summit delivers on my commitment last year to bring this important issue to national attention. For the first time, threatened species will have an Australian Government policy framework with hard and measurable targets. •	progress towards a humane, broad-scale toxic bait to control feral cats in conservation areas. One of the biggest dangers to our wildlife is predation by feral cats, so our latest national plan to reduce their devastating impacts will also be launched at the summit. This will mark the first update of the national threat abatement plan for feral cats since 2008. At my direction, Threatened Species Commissioner Gregory Andrews spent two days this week meeting with more than 60 of Australia's leading ecologists and researchers at a National Feral Cat Workshop sponsored by my department, and we will see the results of those discussions in July. Attendance at the Threatened Species Summit in Melbourne will be by invitation, with a live webcast to allow the community to participate. How aware are you of the birds that live in your neighborhood? Do you know how many different species there are? Do enjoy your local birds, or find them annoying? J. Amy Belaire of St. Edward's University, Lynne Westphal of the U.S. Forest Service, and Emily Minor and Christopher Whelan of the University of Illinois at Chicago visited urban neighborhoods in the Chicago area to answer these questions and learn more about how people see their backyard birds. Their results, published in a new paper inThe Condor: Ornithological Applications, provide a fascinating look at the relationship between people and nature in a city setting. Belaire and her colleagues surveyed the breeding birds in 25 neighborhoods adjacent to forest preserves in Cook County, Illinois, recording a total of 36 species, and sent questionnaires to the families in each neighborhood. While most people were excited to participate in a scientific study, according to Belaire, someone looking through binoculars in a residential neighborhood is bound to attract some attention; "The police were called several times to check up on us," she says. The researchers found that residents' feelings toward birds were generally very positive, although a few people found bird droppings, nests in gutters, and other nusiances to be annoying, especially in neighborhoods where specific problem birds such as House Sparrows and Common Grackles were more abundant. Though the questionnaire asked respondents to estimate how many bird species were found around their homes, there was no relationship between residents' perceptions of bird diversity and the actual species numbers observed in the bird surveys. Instead, the more favorable someone's feelings about local birds, the more species they guessed were present. "The interdisciplinary approach for this study stemmed from the knowledge that many of today's pressing environmental questions can't be answered by a single discipline alone," says Belaire. "The social surveys helped shed light on the many things people value about birds in the neighborhood, especially the birds' aesthetic qualities and the role they play in local ecosystems. Although residential neighborhoods in our study sites had surprisingly high bird diversity, we found that people didn't seem to be entirely aware of this biodiversity." The researchers suggest that programs such as citizen science projects can increase people's awareness of their neighborhoods' avian diversity. Even though the results showed a range of individual awareness of birds, this study reinforces the idea that birds are an important point of connection between city dwellers and the natural world. April 20, 2015 – Confronted by extreme scarcity of nutrients in an Australian dune ecosystem, the leaves of different plant species converge on a single efficient strategy to conserve phosphorus, an essential nutrient. But it is a different story underground, say researchers, including Ben Turner, staff scientist at the Smithsonian Tropical Research Institute. Plants on older dunes draw from a full bag of tricks, and take advantage of nearly all of the known adaptations for acquiring nutrients to capture the phosphorus they need. "Plants cope with phosphorus scarcity in a similar way above-ground by making phosphorus-efficient leaves," Turner said. "But below-ground they're using many different strategies to obtain phosphorus, and the diversity of those strategies increases as soil phosphorus declines." The properties of soil, "the living skin of Earth," drive biological processes, but these properties change as soils age. One of the best places in the world to study what happens to plant communities as soils age is the Jurien Bay dune chronosequence in Australia, a series of with new to ancient soils. New dunes form during interglacial periods of high sea levels, as the ocean throws sand up onto the shore. Meanwhile, inland dunes are gradually covered by kwongan, exceptionally species-rich shrubby vegetation unique to southwestern Australia. Soil phosphorus has gradually leached away during the past 2 million years, leaving some of the most impoverished soils in the world on the oldest dunes. Turner and colleagues from the University of Western Australia and the University of Montreal identified and counted all of the plants at a series of six dune systems, then identified how each species acquired phosphorus from the soil. As the ecosystem aged, the number of plant species and the number of phosphorus acquisition strategies increased. Some plant roots join forces with mycorrhizal fungi, which extend out like a net from plant roots to capture nutrients. Other plants form clusters of roots that exude carboxylates to "mine" the soil for phosphorus. Some resort to parasitism and carnivory, extracting phosphorus from other organisms. Even plants growing next to one another used different nutrient capture strategies with equal success. "There's considerable interest in understanding how plant traits influence the assembly of plant communities," Turner said. "This study highlights the potential importance of nutrient acquisition strategies in this process, particularly for species-rich ecosystems." Complete results of this study, supported by the Australian Research Council and the Kwongan Foundation, are published in the journal Nature Plants. The kwongan has revealed the dirty secrets of the plant kingdom to University of Montreal and University of Western Australia scientists. 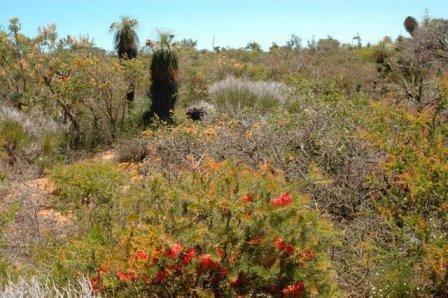 The kwongan is a type of bushland that is only found in South-West Australia and is exceptionally rich in terms of biodiversity, despite existing on some of the most infertile soils in the world. Its unique nature enabled the researchers to discover that plants use an amazing variety of root strategies to obtain nutrients from these poor soils. "In nature, plants growing in infertile land all use almost exactly the same above-ground strategy: they produce very tough leaves that survive for several years. However, up until now the contrasting diversity of what they were doing underground with their roots was unknown," explained Professor Etienne Laliberté. The study was published in Nature Plants. Indeed, the findings show that the kwongan contains almost all the plant kingdom's root adaptations, on soils so infertile that any form of agriculture is impossible without adding a phenomenal amount of fertilizer. "Scientists believe that natural selection should have favoured a single, particularly efficient root strategy for acquiring nutrients, given the extreme infertility of the land," Laliberté said. "However, contrary to what we see in the foliage, where many different species of plant have adopted the same, efficient strategy of gaining nutrients with their leaves, there is no single miracle solution when it comes to roots in poor soil. Plants living next to one another can use completely different strategies and have just as much success. This came as a surprise to us." The general perception of the Australian Outback as being a bland, empty void couldn't be further from the truth. "Some plants form symbiotic root relations with fungi and some with bacteria, while capture and digest insects for the nutrients that they contain. Moreover, another broad group of species exude organic compounds that increase nutrient availability," said Dr. Graham Zemunik. 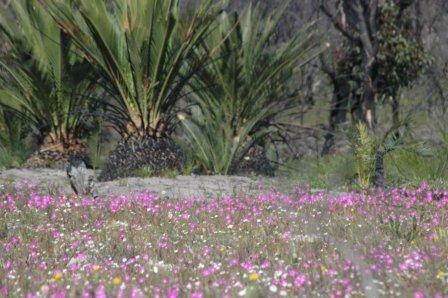 "The Australian kwongan is one of Earth's plant diversity hotspots, just like tropical rainforests." The research team is in fact supporting an initiative to have the kwongan recognized as a UNESCO World Heritage site for this reason. The findings, like the kwongan as a whole, are of global importance. "Ecosystems all around the world are being altered at an alarming rate. In order to protect biodiversity as best as we possibly can, we need to understand how these systems work. To achieve that goal, our study shows that it's important to go beyond what's immediately visible to study what nature has hidden below ground," Dr. Zemunik said. About this study This study was funded by the Australian Research Council and the Kwongan Foundation and is part of Etienne Laliberté's larger research program into the relationships between soil fertility, plant biodiversity and ecosystem functioning. He is affiliated with the University of Montreal's Institut de recherche en biologie végétale and the university's Department of Biological Sciences. He is also affiliated with the University of Western Australia's School of Plant Biology, where he supervised the doctoral studies of the study's first author, Graham Zemunik. The Australian Government is seeking public feedback on options for the planned Emissions Reduction Fund safeguard mechanism. The safeguard mechanism will ensure that abatement achieved under the Emissions Reduction Fund (ERF) is not offset by rises in emissions elsewhere in the economy. Implementation of the crediting and purchasing components of the ERF are already underway, with the first auction to open on 15 April 2015. The safeguard mechanism consultation paper released today incorporates views from across the community, including feedback received from businesses and community groups during the extensive consultation on the ERF Terms of Reference and Green Paper. Businesses and the community are invited to make a submission on the safeguard mechanism public consultation paper by 27 April 2015. The Government will consider this feedback in making final policy decisions on safeguard design, and will then release draft legislative rules for further comment. The rules will be finalised in late 2015 and the safeguard mechanism will commence on 1 July 2016. The ERF is the centrepiece of the Australian Government's efforts to tackle climate change. The ERF will help drive private sector investment to achieve emissions reductions. The important thing is that emissions reductions are real, measurable and additional to business as usual. Figures released this week by the Department of Environment show we will easily meet our commitment to reduce Australia's emissions by five per cent from 2000 levels by 2020. Under Labor, Australia's abatement challenge to achieve the five per cent target was forecast to be 1,335 Mt CO2-e in 2008. This has now fallen to 236 Mt CO2-e.
We will achieve our emissions reduction targets, but unlike Labor, we'll do it without a multi-billion dollar job-destroying carbon tax. Mayors and councillors from across the Great Barrier Reef catchment gathered this week to share knowledge and ideas on improving sustainable development practices for the benefit of the Reef. The annual Reef Guardian Council steering committee meeting provided delegates an opportunity to share lessons from local environmental projects and identify opportunities to work together. They were also briefed by the Great Barrier Reef Marine Park Authority, Department of Environment and NRM groups on the Reef 2050 Long-Term Sustainability Plan, urban stormwater management, Reef Trust initiatives and marine debris. Dr Roger Beeden from the Great Barrier Reef Marine Park Authority said local governments played a vital role in ensuring the future of the Reef. “Through their decision-making processes, local councils have the ability to make a real difference when it comes to restoring and reconnecting coastal habitats,” he said. “Reef Guardian Councils cover more than 300,000 square kilometres with a population of almost 900,000 people, there is real power here for long-term environmental change”. “They have an important role in planning for sustainable population growth, approving environmentally sound developments, and preparing the community for climate change impacts”. “Many local residents assume their councils only deal with rates, roads and rubbish but Reef Guardian Councils are doing much more than this in an effort to protect the Great Barrier Reef”. The Reef Guardian Council program recognises and promotes the important role of local government in helping to protect and conserve the Great Barrier Reef Marine Park for future generations. You are invited to comment on this draft recovery plan in accordance with the provisions of the Environment Protection and Biodiversity Conservation Act 1999. The public comment period closes 1 July 2015. This document constitutes the draft National Recovery Plan for the Southern Bent-wing Bat Miniopterus schreibersii bassanii. The recovery plan sets out the research and management actions necessary to stop the decline of, and support the recovery of, the threatened Southern Bent-wing Bat. The Southern Bent-wing Bat is listed as critically endangered under the Environment Protection and Biodiversity Conservation Act 1999 (EPBC Act), listed as threatened under the Flora and Fauna Guarantee Act 1988 in Victoria where it is considered critically endangered and listed as endangered under theNational Parks and Wildlife Act 1972 in South Australia. It is also listed as endangered in the Action Plan for Australian Mammals 2012, under the revised taxonomic name of Miniopterus orianae bassanii. The long-term recovery objective is to ensure that the Southern Bent-wing Bat can survive, flourish and retain its potential for evolutionary development in the wild. 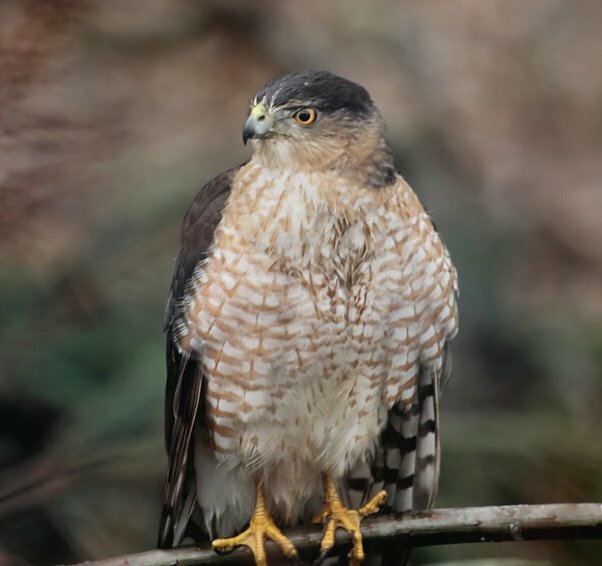 April 22, 2015 – A Cooper's hawk, found in Greater Vancouver, is the most polluted wild bird that has been found anywhere in the world. A team of Canadian researchers made this startling discovery while analyzing liver samples from birds of prey that were discovered either injured or dead in the Vancouver area. The levels of polybrominated diphenyl ethers (PBDEs) in the contaminated Cooper's hawk were 196 parts per million, significantly higher than those recorded in birds found either in cities in California or in an electronic waste site in China. PBDEs are a group of chemicals that act as flame retardants and were once used widely in computers, stereos, televisions, vehicles, carpets and furniture. Although many of the PBDEs have been banned since the 2000s in Canada, they continue to accumulate in landfill sites where people dispose of PBDE-rich items. In British Columbia's Fraser River delta, for example, the quantity of PBDEs has doubled every four years over the past four decades. 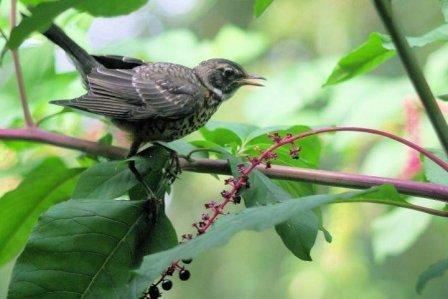 This can have a significant effect on the bird populations that live nearby. "Many animals, including coyotes, eagles and hawks benefit from the excess food in our cities. A downside is the high levels of pollution. The levels of flame retardants in starlings, a favourite prey of hawks, which nested near the landfill site were fifteen times higher than levels in starlings found elsewhere in Vancouver," says Prof. Kyle Elliott, of McGill's Department of Natural Resource Sciences, one of the authors of the study which was recently published in the journal Science of the Total Environment. "We were surprised to see such high levels of contaminants in what I think of as 'green' city. We can only hope that because many forms of PBDEs have now been banned and the levels of these contaminants are rapidly disappearing from herons and cormorants in Vancouver, the same will be true for other bird species." The results of the first Emissions Reduction Fund auction released today clearly prove that the Coalition's climate change policy is delivering real and significant abatement - just as we always said it would. The Clean Energy Regulator has awarded contracts for 47 million tonnes of abatement at an average price per tonne of $13.95. In just the first auction alone, the Emissions Reduction Fund has contracted approximately four-times the amount of abatement than the emissions reductions achieved during the entire two-year lifespan of the carbon tax. At most, the carbon tax helped reduce emissions by less than 12 million tonnes. The first ERF auction will deliver 47 million tonnes of abatement. And this has been achieved at a fraction of the cost. Labor's $15.4 billion carbon tax reduced emissions at over $1,300 per tonne. The Emissions Reduction Fund auction price averages $13.95 per tonne. That's right - Labor's failed carbon tax was more than 93-times more expensive. The result today is a complete and total repudiation of Labor's failed policy - yet Bill Shorten wants to bring back the carbon tax and hurt Australian families and business once again. Critics of the Coalition's climate change policy have been proven wrong time and time again - and today their misleading claims and falsehoods have been categorically rebuked once again. The Emissions Reduction Fund is a policy that provides positive incentives and will assist business in delivering long-term changes to reduce emissions. We are well on track to achieve our target of reducing emissions by five per cent from 2000 levels by 2020. Earlier this year the Department of Environment confirmed that Australia's abatement challenge between now and 2020 is 236 million tonnes. The first ERF auction alone has achieved 47 million tonnes of abatement and there will be multiple more auctions between now and 2020. We will achieve our target and we'll achieve it easily. And the first auction is only the beginning. More ways of taking part in the Emissions Reduction Fund are being developed to cover agriculture, commercial buildings, industrial energy efficiency, coal mining, oil and gas, waste, small energy users, avoided land clearing and fertiliser use efficiency. Labor and critics of the Emissions Reduction Fund have no choice but to accept that the policy works. It achieves more than the carbon tax and it does so at around one percent of the cost. We are cutting Australia's emissions and doing our part to combat global climate change - but we're doing it without a painful carbon tax that hurt business and pushed up the cost of living for Australian families. The first Emissions Reduction Fund auction for Carbon Abatement Contracts was held on Wednesday 15 and Thursday 16 April 2015. We have notified each participant and authorised bidder of the result of their bid at the auction. As a result of the auction, we awarded 107 Carbon Abatement Contracts that have committed to deliver a total of 47 333 140 tonnes of abatement. The total value of contracts awarded $660 471 500. The average price per tonne of abatement is $13.95. The Carbon Abatement Contracts were awarded to 43 contractors covering 144 projects. The majority applied under sequestration methods, and landfill and alternative waste treatment methods. A summary of the Emissions Reduction Fund auction results is available on the auction results page. The Carbon Abatement Contracts table provides published information on all contracts awarded. •	the duration of the contract. April 22, 2015 - New research published this week in Nature has found several drugs could lead to new treatment options for multiple sclerosis (MS), including two drugs that effectively treat MS at the source, in vivo. When administered at the peak of disease, these two drugs showed a striking reversal of disease severity. At the pathological level, MS is a disease in which the immune system attacks the protective myelin sheath, a type of insulation that covers nerves, ultimately disrupting communication between the brain and the body and leading to nerve deterioration. To prevent neural degeneration requires remyelination through new oligodendrocytes, which create the myelin sheath. These two drugs, miconazole and clobetasol, were found to treat the source of the problem by reversing this process, increasing the number of new oligodendrocytes and enhancing remyelination. "Current therapies focus on stopping immune system attacks, slowing the progression of the disease. Our research is focused on trying to repair the brain itself, to stop the disease rather than slow it," said Robert Miller, Ph.D., co-author of the study and senior associate dean for research, Vivian Gill Distinguished Research Professor, and professor of anatomy and regenerative biology at the George Washington University School of Medicine and Health Sciences. "While successful in vivo, we're looking forward to continuing our research through further testing of miconazole and clobetasol, taking the next steps to finding treatments for MS."
Performed at Case Western Reserve University, researchers discovered the therapeutic compounds for enhancing myelination from oligodendrocyte progenitor cells through screening a library of bioactive small molecules. Oligodendrocyte progenitor cells are stem cells found in the central nervous system and the principal source of myelinating oligodendrocytes. Finding this cellular target for pharmacological intervention, Miller and co-author Paul Tesar, Ph.D., the Dr. Donald and Ruth Weber Goodman Professor of Innovative Therapeutics, and associate professor in the Department of Genetics & Genome Sciences at the Case Western Reserve School of Medicine, found seven drugs that enhance generation of mature oligodendrocytes and found that miconazole and clobetasol could promote myelination. Miconazole was found to function directly as a remyelinating drug with no effect on the immune system, whereas clobetasol was found to be a potent immunosuppressant, as well as a remyelinating agent. "To replace damaged cells, much of the stem cell field has focused on direct transplantation of stem cell-derived tissues for regenerative medicine, and that approach is likely to provide enormous benefit down the road," said Tesar, also a New York Stem Cell Foundation Robertson Investigator and member of the National Center for Regenerative Medicine. "But here we asked if we could find a faster and less invasive approach by using drugs to activate native stem cells already in the adult nervous system and direct them to form new myelin. Our ultimate goal was to enhance the body's ability to repair itself." "Drug-based modulation of endogenous stem cells promotes functional remyelination in vivo," was published in Nature on April 20. Solving gory crimes is about to get quicker, if ‘flesh fly’ researchers from the University of Wollongong have their way. Through an Australian Government science grant, they’re working on a set of tools to help identify the type of maggots found infesting dead bodies, assisting police with important details of the death of murder victims. The work will be done in collaboration with fly scientists from Denmark and Poland. This nature discovery job with a grim slant is just one of 21 projects kicking off, through a $2 million package of National Taxonomy Research Grants. It brings this Government’s investment in the grants to $5.3 million so far. Parliamentary Secretary for the Environment, Bob Baldwin, said the $105,000 flesh fly grant for the University of Wollongong shows how fundamental ‘taxonomy’ – the science of identifying species – is to everyday life. “There are likely to be more than 150 species of flesh flies in Australia and each species provides different clues about the time and place of death. When speed is of the essence, narrowing down the exact species collected by police from a crime scene can take precious time,” Mr Baldwin said. “Through this taxonomy grant, the researchers will be looking for better and quicker ways to identify immature and adult flesh flies, using methods based on their physical appearance, as well as their DNA. “The team will be enhancing an existing DNA database for flesh flies, filling crucial gaps in our existing knowledge of their evolution as well as their identity. “Alongside the practical applications, this project has a strong nature discovery focus. The researchers will be scouring parts of Australia, particularly in Queensland, the Northern Territory and Western Australia, for a little known sub-group of flesh flies that parasitise other insects. This sub-group may also have forensic value in investigating buried remains, to which some species are attracted. “The team is almost certain to discover dozens of flesh flies that are completely new to science – extremely exciting stuff! “The benefits from this kind of targeted research are huge – we support young scientists, build our knowledge of native species, and the real-world uses speak for themselves. Other projects in the $2 million package include a study of the different types of jellyfish off Australia’s north-west coast, helping the tourism industry better respond to jellyfish swarms. There is work on next-generation tassel fern systematics – investigating a group of species already used in commercial Alzheimer medications. Another project will look at parasitic worms threatening commercially harvested fish in Queensland’s Moreton Bay. So many people with disability and their families are finding their current housing inadequate - they need something better for their futures. Thanks to all of you who shared your story. It’s given us a compelling picture of the current housing crisis and just what needs to be done to allow people with disability to live their lives to the full. You can check out theEAC Housing Action Plan we created here. We have delivered a copy to all the State and Territory Disability Ministers who are meeting today to discuss the NDIS and disability housing. But there’s still more we can do. If we all sharethe action plan far and wide, it will help more people understand what’s at stake and help put more pressure on our governments to act. You’ll find a picture and buttons you can use to easily share the plan on Facebook, Twitter and email here. Let’s make housing the most talked about thing on social media right now! The name of our plan 'A place I can proudly call home' came from one of your stories. Matthew from Victoria told us he has a disability and is homeless, living week to week in a budget hotel while he waits for community housing. All he wants is a place that is safe, affordable and close to the medical facilities he needs. A place he can proudly call home. Let’s get action on disability housing. Share the EAC Housing Action Plan now and let’s make a noise! April 21, 2015 - Tropical Pacific climate variations and their global weather impacts may be predicted much further in advance than previously thought, according to research by an international team of climate scientists from the USA, Australia, and Japan. The source of this predictability lies in the tight interactions between the ocean and the atmosphere and among the Atlantic, the Pacific and the Indian Oceans. Such long-term tropical climate forecasts are useful to the public and policy makers. "We found that, even three to four years after starting the prediction, the model was still tracking the observations well," says Yoshimitsu Chikamoto at the University of Hawaii at Manoa International Pacific Research Center and lead author of the study. "This implies that central Pacific climate conditions can be predicted over several years ahead." "The mechanism is simple," states co-author Shang-Ping Xie from the University of California San Diego. "Warmer water in the Atlantic heats up the atmosphere. Rising air and increased precipitation drive a large atmospheric circulation cell, which then sinks over the Central Pacific. The relatively dry air feeds surface winds back into the Atlantic and the Indian Ocean. These winds cool the Central Pacific leading to conditions, which are similar to a La Niña Modoki event. 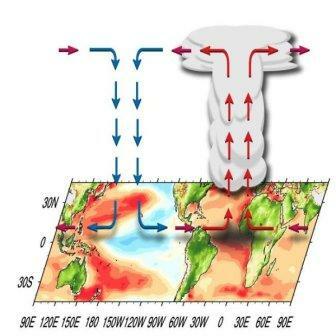 The central Pacific cooling then strengthens the global atmospheric circulation anomalies." "Our results present a paradigm shift," explains co-author Axel Timmermann, climate scientist and professor at the University of Hawaii. "Whereas the Pacific was previously considered the main driver of tropical climate variability and the Atlantic and Indian Ocean its slaves, our results document a much more active role for the Atlantic Ocean in determining conditions in the other two ocean basins. The coupling between the oceans is established by a massive reorganization of the atmospheric circulation." The impacts of the findings are wide-ranging. "Central Pacific temperature changes have a remote effect on rainfall in California and Australia. Seeing the Atlantic as an important contributor to these rainfall shifts, which happen as far away as Australia, came to us as a great surprise. It highlights the fact that on multi-year timescales we have to view climate variability in a global perspective, rather than through a basin-wide lens," says Jing-Jia Luo, co-author of the study and climate scientist at the Bureau of Meteorology in Australia. "Our study fills the gap between the well-established seasonal predictions and internationally ongoing decadal forecasting efforts. We anticipate that the main results will soon be corroborated by other climate computer models," concludes co-author Masahide Kimoto from the University of Tokyo, Japan. April 20, 2015 – The results come from the first ever large study to compare MBCT -- structured training for the mind and body which aims to change the way people think and feel about their experiences -- with maintenance antidepressant medication for reducing the risk of relapse in depression. "Depression is a recurrent disorder. Without ongoing treatment, as many as four out of five people with depression relapse at some point," explains Willem Kuyken, lead author and Professor of Clinical Psychology at the University of Oxford in the UK. "Currently, maintenance antidepressant medication is the key treatment for preventing relapse, reducing the likelihood of relapse or recurrence by up to two-thirds when taken correctly," adds study co-author Professor Richard Byng, from the Plymouth University Peninsula Schools of Medicine and Dentistry, UK. "However, there are many people who, for a number of different reasons, are unable to keep on a course of medication for depression. Moreover, many people do not wish to remain on medication for indefinite periods, or cannot tolerate its side effects." Participants in the MBCT group attended eight 2 ¼ hour group sessions and were given daily home practice. After the group they had the option of attending 4 follow up sessions over a 12 month period. The MBCT course consists of guided mindfulness practices, group discussion and other cognitive behavioural exercises. Those in the maintenance antidepressant group continued their medication for two years. All trial participants were assessed at regular intervals over 2 years for a major depressive episode using a psychiatric diagnostic interview tool -- the Structured Clinical Interview for DSM-IV. According to study co-author Professor Sarah Byford, from the Institute of Psychiatry, Psychology & Neuroscience (IoPPN) at King's College London, UK, "As a group intervention, mindfulness-based cognitive therapy was relatively low cost compared to therapies provided on an individual basis and, in terms of the cost of all health and social care services used by participants during the study, we found no significant difference between the two treatments." Study participant Mr Nigel Reed from Sidmouth, Devon, UK, comments that, "Mindfulness gives me a set of skills which I use to keep well in the long term. Rather than relying on the continuing use of antidepressants mindfulness puts me in charge, allowing me to take control of my own future, to spot when I am at risk and to make the changes I need to stay well." Writing in a linked Comment, Professor Roger Mulder from the University of Otago in New Zealand says, "Because it is a group treatment that reduces costs and the number of trained staff needed, it might be feasible to offer [mindfulness-based cognitive therapy] as a choice to patients in general practice…We therefore have a promising new treatment that is reasonably cost effective and applicable to the large group of patients with recurrent depression." Chile's Calbuco volcano erupted for the first time in over 42 years on Wednesday April 22nd 2015, creating a remarkable scene of smoke plumes and ash shooting into the sky. A second eruption Wednesday night blasted red-hot rocks skyward and produced an extraordinary display of volcanic lightning. The volcano sent ash more than 6 miles skyward, increasing concerns that the dust could contaminate water, trigger respiratory illnesses and halt more flights. The first blast surprised Chilean emergency officials, who were left with only minutes to issue an alert. Parts of Argentina reported heavy ash falling after the eruption. 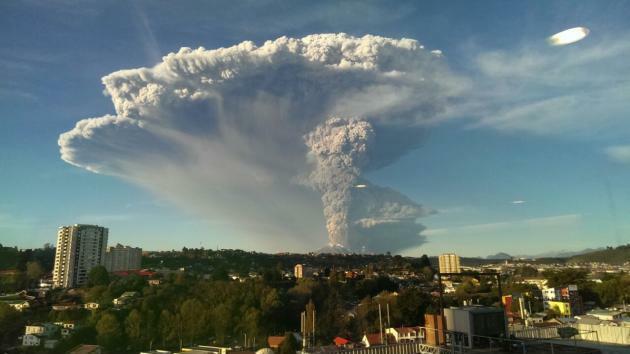 According to analysis by Argentina's meteorological service, the ash cloud was shot as high as 40,000 feet. The federal government must move now to action the recommendations of the National Mental Health Commission's Review into Mental Health Services, argues Sebastian Rosenberg. The Review into Mental Health Services by the National Mental Health Commission is the latest addition to more than 30 statutory inquiries into mental health over the past decade. Rather than fix mental health, Australia prefers to inquire into it. Each inquiry confirms that Australia's mental health system can best be characterised as being in crisis. Even this review, carefully crafted, makes it clear that our approach to mental health is wildly out of balance, with far too many resources directed to crisis response and far too few to earlier intervention. The focus of this review was the Commonwealth and what it could do now to reform mental health within existing funding. I am not sure this is tenable given that mental health only gets about five per cent of the total health budget but represents 13 per cent of the total burden of disease. However, the review does point out waste. One suggestion was that the Commonwealth redirect its future funding away from hospital beds and towards community services. Minister for Health Sussan Ley has already ruled this out and some professional groups and others have decried this as an attempt to close beds. This is nonsense. A national survey carried out in 2006 suggested that 43 per cent of all hospital beds were occupied by people who would be better off in other settings if those alternatives were available. We have enough beds already and in fact, resources are being wasted in this area. The key point made by the review is in relation to the stunted nature of community mental health care in Australia. We spend only about one third the amount spent in New Zealand on genuine community-based mental health care. It is this type of care, often provided by non-government organisations, that is critical to Australia belatedly developing some alternatives to expensive and often traumatic hospitalisation. The review sets a target to increase the rate of access to mental health care by 10 per cent each year. This is critical when overall rates of access to care are poor in relation to the general community and abysmal in relation to young people. While 75 per cent of all mental illness manifests before the age of 25, according to the Australian Bureau of Statistics, only 13 per cent of young men who had a mental illness last year got any help. Australia's mental health "system" is weakest precisely where it should be strongest. The review considers the Commonwealth's Better Access Program which is now costing more than $12 million per week and growing. It finds significant inequity and maldistribution of services under this program and calls for better targeting. A greater role for regional planning is recommended though this is made more difficult with the advent of large Primary Health Networks instead of the smaller Medicare Locals. Terrible recent reporting on suicide highlights Australia's failure to reduce the rate of suicide and attempted suicide over the past decade. The review's suggestion to focus a new suicide prevention strategy across 12 designated regions would be a welcome change from the desultory approach taken to date. A target of reducing suicides and attempts by 50 per cent over the next decade is suggested. This kind of target-setting to spur activity is an approach taken in several other countries but would be new to Australia. The review calls for the establishment of a small set of indicators and measures by which to frame a new accountability for mental health. Our current approach is confused and largely outcome blind. Importantly, the measures suggested in the review reflect matters of interest to consumers and their families, not just service and system numbers. Issues of housing, employment and quality of life are critical and poorly reported now but are vital to properly understanding what it means to experience mental illness in 21st century Australia. After the review was initially leaked, Minister Ley put out a press release blaming the previous Labor government and setting up a range of new committees and advisory bodies under the Council of Australian Governments (CoAG). Australia tried using CoAG to fix mental health in 2006. While new investments were made, each state and federal jurisdiction had complete autonomy. A set of notionally agreed priorities was a veneer for a reality in which every government invested in different services and priorities. This perpetuated a situation in which the quality, type and quantity of mental health services available varies wildly depending on where you live. This latest review has confirmed that this approach is both unfair and inefficient. Resources are limited and inadequate. Australia's approach to a mental health system is a crisis-driven patchwork. More CoAG committees are not the answer. Communities understand the depth of this crisis. They know how vulnerable families are. The solution lies in properly resourcing sustained mental health reforms throughout every region in Australia. Now. April 20, 2015 – If your home country is historically heterogeneous and you know it, crack a smile. People who live in countries built on centuries of migration from a wide range of other countries are more emotionally expressive than people in more insular cultures, according to research led by University of Wisconsin-Madison psychology Professor Paula Niedenthal. The study, published this week in the Proceedings of the National Academy of Sciences, compared several social and demographic variables to the way people describe the rules for displaying emotion in dozens of countries. Countries most comfortable with wearing their hearts on their sleeves are likely to also score high in "historical heterogeneity," a measurement created by a group of Brown University economists to describe the breadth of a country's migration sources over the last 500 years. "We think an absence of shared language and shared culture would push people toward greater nonverbal expression of emotion," Niedenthal says. "Because otherwise you wouldn't know what the other person was feeling or thinking or liking or disliking. And you need to be able to communicate those things to facilitate commerce and government, to survive and prosper together." The United States sits high up on the measure of historical heterogeneity, with Canada, Australia, Brazil and Uruguay. The homogenous end of the spectrum includes Greece, Japan, Poland and Nigeria, confounding a geographic interpretation of the cultural differences in emotional displays. "So many places other than the United States have a long history of migration -- many in South America, places like Israel -- and that creates an idea about who should be similar or dissimilar that isn't one we currently look at," Niedenthal says. "The dominant way to think about culture right now in industry and organizational settings and academia is the notion of collectivism versus individualism, and that's basically West versus East." Apparently, shaping emotional culture takes time. The researchers compared their emotional expressivity results to another demographic measure of immigration -- the sheer number of home countries represented by immigrants living in each of 32 countries in 2013 -- and found little correlation. "In many countries, today's diversity involves a lot of minority influx," Niedenthal says. "Those people are often arriving at the bottom of the social ladder, hoping to find work, and people in those positions don't immediately influence the culture. It takes time and generations and standing for that to happen." The economists behind historical heterogeneity were looking for a way to predict income inequality, and Niedenthal believes the influence of long-term migration should turn out to be important in many kinds of social behaviors and even public policy. "The important issue is imagining all the ways in which cultures created by multiple source countries rather than few source countries differ," says Niedenthal, whose work is funded by the National Science Foundation. "For example, they may be more or less willing to pay for universal health care, because they empathize differently with in-group and out-group members." The researchers also found that despite migratory makeup, relative individualism, residential mobility or ethnic fractionalization, people the world round identify the same three kinds of smiles -- reward, affiliation and dominance -- and that the frequency with which the three are deployed also vary in neat parallel with a country's historical heterogeneity. "Two of the main tasks you could imagine being important to a group of people with mixed cultural backgrounds are affiliation, creating and maintaining social bonds, and reward -- telling people what's good and what's bad," Niedenthal says. "In homogenous cultures, they have hierarchies that have been established over the course of many, many generations, and they tend to view dominance smiles as more frequent or important." Shall we discuss the war over a cup of tea? This month, our ‪#mapofthemonth‬ is a representation of the Anzac landings at Gallipoli, published in 1915 by Farrow Falcon Press, for a tea company! Robur positioned itself as a quality tea brand for families, one which ‘sells on its honest goodness.’ When the First World War broke out, commercial advertising began to feature war scenes and themes, as companies capitalised on the zeitgeist amongst those left at home. This war map is a vivid depiction of the recent happenings on the Gallipoli peninsula, showing the landing sites of Anzac and Allied troops. The map is a bird’s eye view annotated with batteries, forts and warships, giving a feel for the dangers the Anzacs faced. 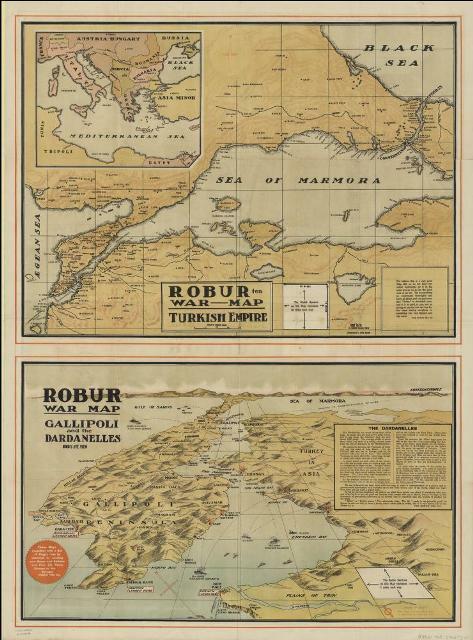 Lithographed by noted Melbourne poster artist Cyril Dillon, the maps were intended as table covers, for engaging with the subject and advancing the Allied flags to Constantinople. Issued at first in a spirit of optimism about the Gallipoli campaign, it went to several print runs and became one of the war’s most collectible maps. In a world dominated by print media, published maps such as these played a major role in illustrating the war for those on the home front. Federal Minister for Health Sussan Ley is calling on Australians to have their say as part of the nation’s largest conversation about the best ways to prevent, treat and cure diabetes. Ms Ley today announced the opening of a national consultation process to help guide the Abbott Government’s development of a National Diabetes Strategy – an election commitment. Ms Ley said diabetes affected the lives of most people in some way, shape or form and this was a critical opportunity for all Australians to participate in finding the best ways to prevent, treat and cure this rapidly growing national problem at the Department of Health's Consultation Hub. “Over one million Australians are now living with diabetes, while hundreds of thousands more are either at high risk of contracting the disease or are living with it and don’t know,” Ms Ley said. “However, diabetes doesn’t just affect the lives of those who have it. It takes a heavy toll on their family and friends, their job, the sustainability of the health budget and our national prosperity. “For example, the overall cost of diabetes to the Australian economy is estimated to be as high as $14 billion annually. Ms Ley said there were over 200 new cases of diabetes diagnosed in Australia every day. “Diabetes also contributes to a range of other serious health burdens, including heart attacks, strokes, amputation, blindness, kidney failure, depression and nerve disease, which is why this government is committed to delivering a National Diabetes Strategy,” Ms Ley said. Ms Ley thanked the National Diabetes Strategy Advisory Group for their work, including developing a consultation paper to help generate public discussion and ideas and is available at the Department of Health's Consultation Hub. •	Type 2 diabetes is the most common form of diabetes, accounting for approximately 85 per cent of people with diabetes. •	Diabetes is underlying or associated cause of one in every ten deaths in Australia. •	Healthcare that is directly attributable to diabetes costs approximately $1.7 billion per year, while the total cost of diabetes annually has been estimated to be as high as $14 billion. •	Annual direct costs for people with diabetes complications are more than twice as much as for people without complications; $9,600 compared with $3,500. •	It is estimated that for every 100 people with a diagnosis of type 2 diabetes in Australia, at least another 25 may be living with undiagnosed type 2 diabetes. •	Obesity is considered a major cause of diabetes. At present, 63 per cent of Australian adults over the age of 18 are overweight or obese, as are approximately 25% per cent of children aged between 5 and 17, and these rates are even higher among people from low socioeconomic backgrounds. Lesbian, gay and bisexual Australians living on the outskirts of major cities experience similar levels of discrimination and social isolation to those living in rural and remote areas. This surprise-finding is from the first nationwide survey comparing the experiences of LGB communities in a range of metropolitan and rural locations. "This could have important implications for health promotion and service provision to vulnerable lesbian, gay and bisexual (LGB) populations," said James Morandini, a PhD candidate from the University of Sydney's School of Psychology and lead author of the study published today in the Australian and New Zealand of Journal of Public Health. "Previous research has found lesbian, gay and bisexual people in remote and rural areas experience higher levels of disadvantage than their city counterparts but the finding for people in outer city areas was unexpected." The survey found those in rural-remote and outer metropolitan areas experienced similar levels of 'minority stress' such as internalised homophobia, concealment of sexuality from friends and concern regarding disclosure of their sexuality. Compounding this disadvantage, LGBs in rural areas and outer city areas also reported reduced social support relative to their urban peers, including less involvement in an LGB community. The survey used a government census classification to define rural and metropolitan areas. It defines outer metropolitan as a location outside a 10km radius of the general post office of an inner city. "Our findings reinforce those of past qualitative research, indicating that LGBs living in rural and remote Australia experience a greater likelihood of risk factors linked to adverse mental health outcomes including substance abuse and suicide," Morandini said. "A tentative explanation for the unexpected findings from outer metropolitan areas is demographic factors such as low socioeconomic background, which are more highly represented in some of these areas and may contribute to a more stigmatising environment for lesbian, gay or bisexual people." Those in outer metropolitan areas also reported increased social isolation, something not seen among the rural sample. The researchers suggest LGB individuals in outer metropolitan areas may face many of the disadvantages of rural LGB individuals without the protective factors associated with rural living such as close-knit and cohesive communities which can assist in countering the experience of social isolation. "A common sentiment from people in outer metro areas is 'I don't see or know about anyone else like me in my area or any services for people like me and I wouldn't feel comfortable being out to people in my neighbourhood, which is pretty conservative.' At the same time they were often aware of a large gay community in the relatively nearby inner city," said Morandini. "These insights may assist in informing public health and health service interventions to reduce homophobic stigma or discrimination in these localities, and in improving awareness among medical and allied health professionals of the disadvantage faced by LGB individuals in these areas," Morandini said. Australian scientists have made a significant discovery that could lead to a simple and quick "breath test" for malaria. Researchers at CSIRO, QIMR Berghofer Medical Research Institute and the Australian National University are working on tests for diagnosing malaria by identifying distinctive chemicals that can be detected in the breath of patients infected with the disease. They looked at the breath of volunteers, who had been given a controlled malaria infection as part of existing studies to develop new treatments, and found that the levels of some normally almost undetectable chemicals increased markedly in the breath of the volunteers during the malaria infection. "What is exciting is that the increase in these chemicals were present at very early stages of infection, when many other methods would have been unable to detect the parasite in the body of people infected with malaria," Dr Stephen Trowell, Research Group Leader at CSIRO said. "In addition to its potentially better sensitivity, human breath offers an attractive alternative to blood tests for diagnosing malaria." The study, published today in the Journal of Infectious Diseases, was conducted in two independent studies where experimental drug treatments were being tested in volunteers who had been given a very small dose of infection. Using a sophisticated analytical instrument, the researchers identified four sulphur-containing compounds whose levels varied across the time course of the malaria infection. "The sulphur-containing chemicals had not previously been associated with any disease and their concentrations changed in a consistent pattern over the course of the malaria infection," Professor James McCarthy, Senior Scientist in Clinical Tropical Medicine at QIMR Berghofer said. "Their levels were correlated with the severity of the infection and effectively disappeared after they were cured. Malaria continues to place a huge health and economic burden on many of the poorest people in the world." In an interesting twist, researchers detected foul-smelling compounds - albeit at levels far too low for humans to smell - in the breath of people with malaria. Up to now, these chemicals have only been detected using very expensive, laboratory based instruments, and only in the breath of volunteers experiencing a controlled malaria infection in the clinic. "Now we are collaborating with researchers in regions where malaria is endemic, to test whether the same chemicals can be found in the breath of patients," Dr Trowell said. "We are also working with colleagues to develop very specific, sensitive and cheap 'biosensors' that could be used in the clinic and the field to test breath for malaria." In 2013, according to the WHO, there were almost 200 million cases and over half a million deaths due to this disease. Currently, malaria diagnosis remains mostly based on using powerful microscopes to look for parasites in blood using a method discovered in 1880. As the world starts to work towards elimination of malaria, there is an urgent need for more sensitive and convenient tests to detect early and hidden cases. The name malaria originally came from the Italian words for "bad air" because it was thought that the disease was caught from the foul smelling air around swamps and marshes. (Now we know that these swamps were the breeding grounds of mosquitos that transmit the disease). 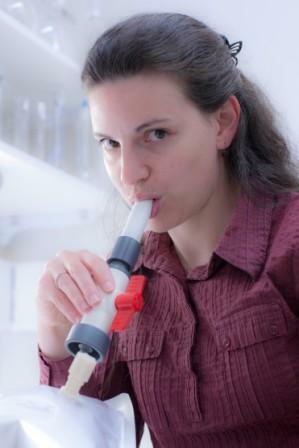 Picture: capturing exhaled breath for chemical analysis. April 20, 2015 – New analysis of world-famous 3.46 billion-year-old rocks by researchers from the University of Bristol, the University of Oxford and UWA (the University of Western Australia) is set to finally resolve a long running evolutionary controversy. The new research, published this week in Proceedings of the National Academy of Sciences, shows that structures once thought to be Earth's oldest microfossils do not compare with younger fossil candidates but have, instead, the character of peculiarly shaped minerals. In 1993, US scientist Bill Schopf described tiny carbon-rich filaments within the 3.46 billion-year-old Apex chert (fine-grained sedimentary rock) from the Pilbara region of Western Australia, which he likened to certain forms of bacteria, including cyanobacteria. These 'Apex chert microfossils' -- between 0.5 and 20 micrometres wide -- soon became enshrined in textbooks, museum displays, popular science books and online reference guides as the earliest evidence for life on Earth. In 1996, these structures were even used to test and help refute the case against 'microfossils' in the Martian meteorite ALH 84001. Even so, their curious colour and complexity gave rise to some early questions. Gravest doubts emerged in 2002, when a team led by Oxford's Professor Martin Brasier (co-author of this current study) revealed that the host rock was not part of a simple sedimentary unit but rather came from a complex, high-temperature hydrothermal vein, with evidence for multiple episodes of subsurface fluid flow over a long time. His team advanced an alternative hypothesis, stating that these curious structures were not true microfossils but pseudofossils formed by the redistribution of carbon around mineral grains during these hydrothermal events. Although other research teams have since supported the hydrothermal context of Professor Brasier, the 'Apex microfossil' debate has remained hard to resolve because scientific instrumentation has only recently reached the level of resolution needed to map both chemical composition and morphology of these 'microfossils' at the sub-micrometre scale. Now Dr David Wacey, a Marie Curie Fellow in Bristol's School of Earth Sciences, in collaboration with the late Professor Brasier, has come up with new high-spatial resolution data that clearly demonstrate that the 'Apex chert microfossils' comprise stacks of plate-like clay minerals arranged into branched and tapered worm-like chains. Carbon was then absorbed onto the edges of these minerals during the circulation of hydrothermal fluids, giving a false impression of carbon-rich cell-like walls. Dr Wacey and team used transmission electron microscopy to examine ultrathin slices of 'microfossil' candidates, to build up nanoscale maps of their size, shape, mineral chemistry and distribution of carbon. Dr Wacey said: "It soon became clear that the distribution of carbon was unlike anything seen in authentic microfossils. A false appearance of cellular compartments is given by multiple plates of clay minerals having a chemistry entirely compatible with a high temperature hydrothermal setting. "We studied a range of authentic microfossils using the same transmission electron microscopy technique and in all cases these reveal coherent, rounded envelopes of carbon having dimensions consistent with their origin from cell walls and sheaths. At high spatial resolution, the Apex 'microfossils' lack all evidence for coherent, rounded walls. Instead, they have a complex, incoherent spiky morphology, evidently formed by filaments of clay crystals coated with iron and carbon." Before his death Professor Brasier commented: "This research should, at long last, provide a closing chapter for the 'Apex microfossil' debate. Such discussions have encouraged us to refine both the questions and techniques needed to search for life remote in time and space, including signals from Mars or beyond. It is hoped that textbooks and websites will now focus upon recent and more robust discoveries of microfossils of a similar age from Western Australia, also examined by us in the same article." Associate Professor Amro Zayed, a researcher from York University said, "Our genetic test is highly accurate, which is considerably better than the old tests that have a high tendency to misclassify hybrid bees." Dr Chapman is now working on making the genetic test more affordable and plans to work with the United States Department of Agriculture to develop a protocol for the importation of Varroa-resistant bees. Australia's bee importation regulations are currently being reviewed by the Department of Agriculture. Australia's Rural Industries Research and Development Corporation supported this research. If you suffer from depression and back pain odds are it's down to your genes, suggests new research from the University of Sydney. The landmark study of twins, published in the journal PAIN , reveals genetic factors might explain the commonly found association between low back pain and depression. Dr Paulo Ferreria from the University of Sydney's Faculty of Health Sciences said the study indicates the association between depression and back pain is the result of the confounding effect of common genetic factors influencing both conditions. "Our case-control study reveals the association between back pain and depression vanishes when genetic and familial confounders among twins are factored in," Dr Ferreria said. "The new research offers hope for the future management of depression and back pain as the association of the two conditions can complicate diagnosis and treatment. Marina de Barros Pinheiro from the Faculty of Health Sciences and an author on the study said the new research debunks the findings of previous studies that found a consistent relationship between back pain and depression. "In our study we examined genetically identical twins for a controlled case analysis and found that a link between depression and back pain was not evident which indicates genetic factors affecting both conditions is likely responsible for the association between the two conditions," Ms Pinheiro said. "The study suggests genes affecting factors that control both conditions, for example levels of neurotransmitters, such as serotonin and norepinephrine, might potentially be responsible for the increase in the risk of suffering both back pain and depression." The control study used data from 2,148 Spanish twins to investigate the association between depression and back pain, accounting for genetics, familial and environmental factors.